Super Easy Rhubarb Curd: The only thing you need to eat this spring. Here’s what I’m smitten with these days: Rhubarb. 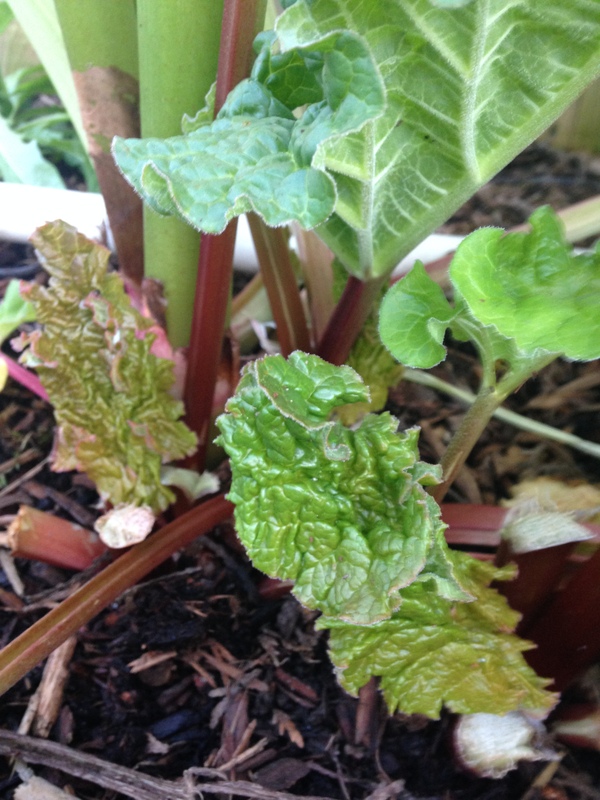 Back to the rhubarb… thank you taste buds for getting this one figured out. And lets be honest… even if you are on the fence about rhubarb, aren’t you crushing on it a little bit this time of year? The contrast of the pale green and garnet hues alone have me swooning! For the last few weeks I’ve been observing my two rhubarb plants from a bit of a distance. Not because I am scared of them, though their very large poisonous leaves are always a little daunting, but mostly because I couldn’t think of anything overly creative to do with it. Last year I made rhubarb rosemary gin and tonics, (Amaze balls!) and I was already mentally planning out my rhubarb syrup, but other than that I was a little stumped. There it sat, out in the yard, challenging me from afar, taunting me even, to come up with some sort of amazing and worthwhile dish… I toyed with the idea of going savory (which I still may… I mean I’ve got a lot of rhubarb) But a few days ago I was searching on Pinterest for some bachelorette party ideas, and suddenly saw mention of Rhubarb Curd. Lights, bells, whistles, fireworks, bam, bang, hello! How had I not thought of this earlier? Lemon curd is only one of my most favorite things ever, and both lemon and rhubarb share that wonderful tanginess. I spent the rest of that day wistfully dreaming of rhubarb curd and magical it would be, and at the end of the work day I promptly came home and made up a recipe. It’s every bit as good as I hoped it would be. I’ve mostly been eating it with yogurt and strawberries, but it is also amazing on toast, mixed in with oatmeal, or just by the spoonful. 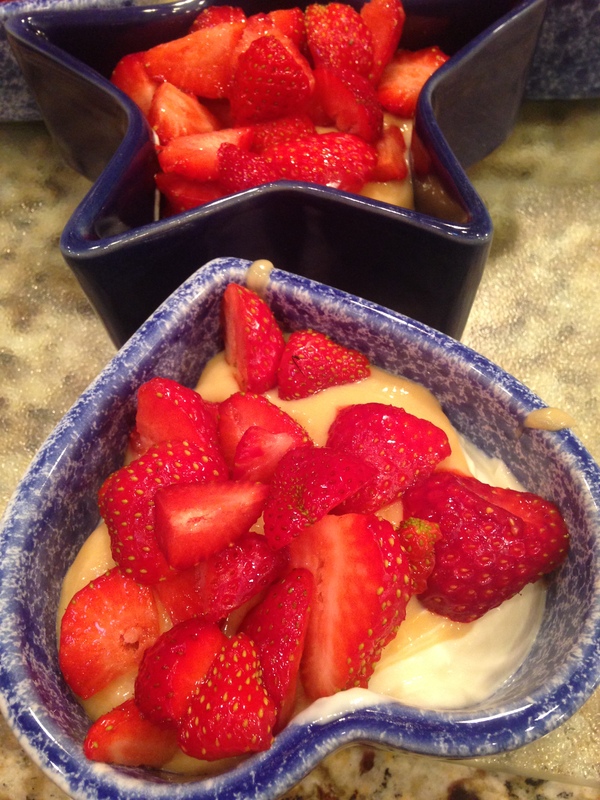 Rhubarb Curd- Author adapted from Dana Velden recipe. Wash and trim the rhubarb stalks, and cut into ¾ inch pieces. Place in sauce pan with ¼ C of sugar, and ¼ C water, cover and turn on medium/ high heat. Cook for 10 minutes or until rhubarb is soft and begins to fall apart. Remove rhubarb mixture from heat, and pour contents into a blender or food processor (or use an emulsion blender). And puree until smooth. Set aside. Transfer mixture into a sauce pan, and cook on a low heat, stirring almost constantly using a heat resistant spatula. It is quite easy to burn/ curdle the curd, so be attentive. Cook until the mixture noticeably begins to thicken (about 12-15 minutes) or until it reaches about 170 degrees. Pour the curd into a storage jar, and let it cool to room temperature before closing and storing in the refrigerator. Rhubarb curd should last for about a week in the refrigerator, though chances are it won’t last that long! * a note about the color. 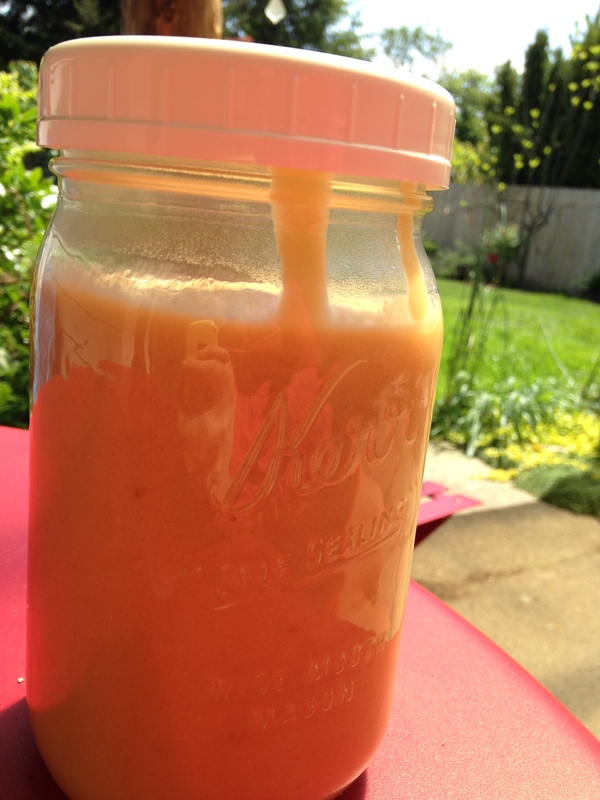 The rhubarb I have growing in my yard is mostly green… therefore my rhubarb curd looks like muddy lemon curd. However, I’m quite certain that if you are purchasing the glorious garnet colored rhubarb, your rhubarb curd will be a really dreamy light pink color.